Brighton will be boosted by the return of defender Lewis Dunk following a one-match ban when Everton visit the Amex Stadium on Saturday afternoon. 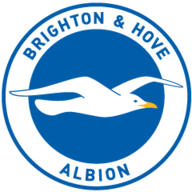 Albion have gone four Premier League matches without a victory, with manager Chris Hughton unable to select his preferred centre-back partnership of England international Dunk and Shane Duffy during that period because of suspensions. "The most important thing is they are all available. We are going through a series of games now in a short period of time," said Hughton. "It's about having everybody available. We have options at centre-half which is important for us." Meanwhile, Everton boss Marco Silva is likely to start with Dominic Calvert-Lewin in the Toffees' attack on the south coast. 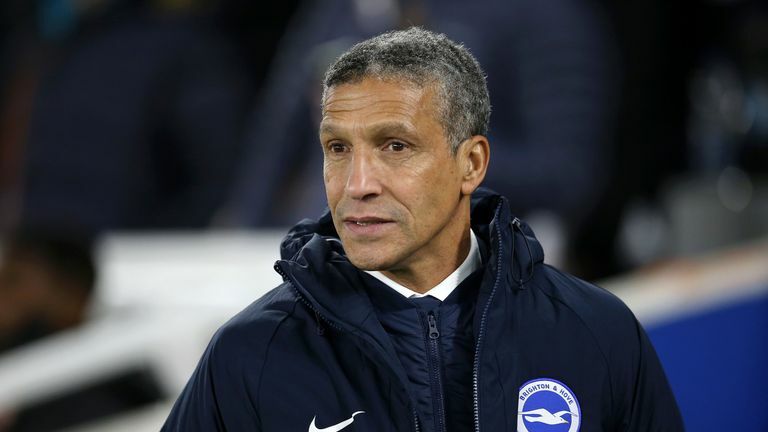 Brighton manager Chris Hughton says there is no need for anyone to panic despite going four games without a win. The game at Burnley on Boxing Day, in which Everton bounced back emphatically from Sunday's dismal 6-2 home loss to Tottenham with a 5-1 win, saw Calvert-Lewin make a third successive start. The 21-year-old centre-forward has scored five times in all competitions this season, most recently in the 3-1 loss at Manchester City on December 15. Silva said of the England U21 player on Thursday: "I am happy with him, but I want more because he has the quality to give more to us as a team and to improve more and more and more. 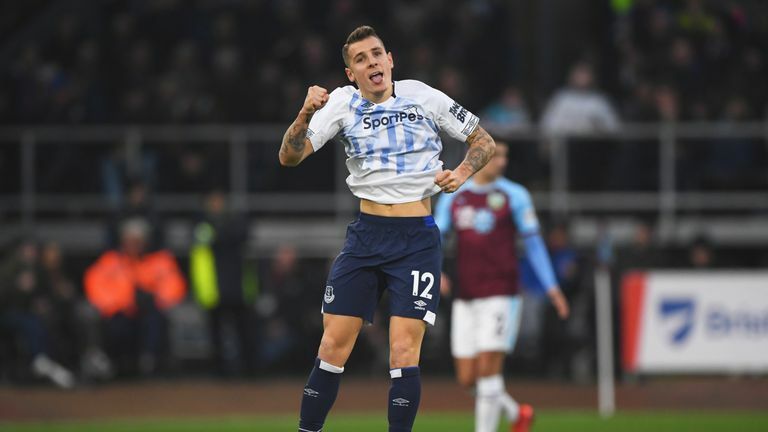 Everton boss Marco Silva was impressed with the performance of Yerry Mina and Lucas Digne in their 5-1 Boxing Day win over Burnley. "He has some specific skills I like in a striker and he knows what I expect from him and the work we are doing with him. "If he has started the last three matches, it is because he deserves it and I believe in him." Brighton will be without goalkeeper Mat Ryan on Saturday after the Australian joined his country's squad ahead of the Asian Cup, which runs from January 5 to February 1, with David Button and Jason Steele competing to replace him. Dunk returns from his one-match ban, but Alireza Jahanbakhsh, who is on international duty with Iran following a hamstring problem, remains unavailable, along with fellow winger Jose Izquierdo (knee). As for the visitors, Richarlison may be restored to their starting line-up after coming off the bench to net his ninth Premier League goal of the season in the Burnley contest. Fellow forward Ademola Lookman, missing for the last two matches with an ankle injury, could also be back involved. And regarding midfielder James McCarthy, who has not featured since suffering a horrific double-fracture of his lower right leg against West Brom on January 20, Silva said: "He is training with the team. He is ready if I take the decision for him to play." Everton haven't won their final league match of a calendar year since 2013 (2-1 vs Southampton), losing three and drawing once since then. This is a difficult game for Brighton after Everton bounced back against Burnley like they did. 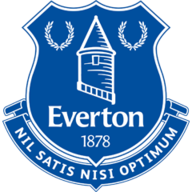 Everton's confidence will be sky high now and they can just go out and play. After getting beat 6-2 at home, it does not matter who you are playing next, to go out and win like they did is some going. I cannot remember too many teams do that to Burnley. Brighton will struggle to contain Everton in attack.